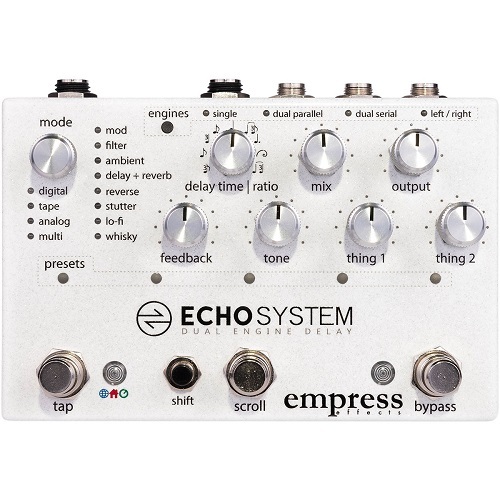 Faithful emulations of classics like digital, tape and analog delays are numerous, as well as Empress’ own take on each of these delay styles. Moving beyond the traditional, the vast amount of sonic ground the Echosystem can cover becomes apparent. Check out the ambient modes when you’re feeling chilled out, or perhaps a visit to the multi tap modes for a taste of inspiration.